Activities aimed at improving mental and physical wellbeing at work have earned Durham County Council a regional award. The Better Health at Work Award helps organisations set goals towards improving employees’ health whilst at work. It is a partnership project, led by the twelve local authorities in the North East, the NHS and the Northern TUC. The County Durham locality is managed and delivered by the Pioneering Care Partnership. 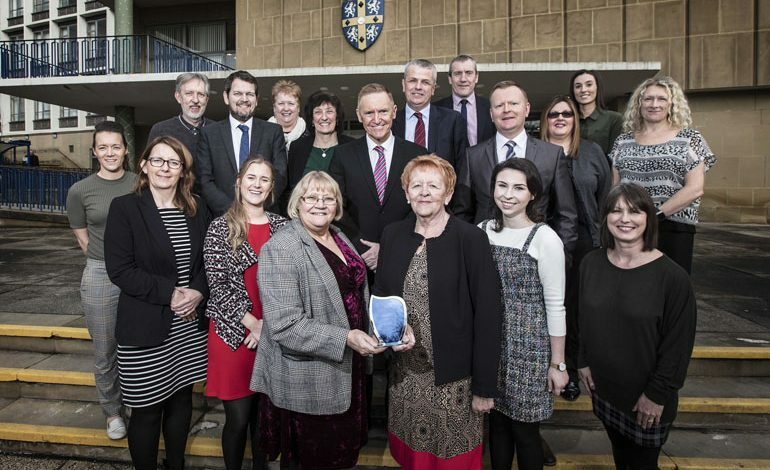 Durham County Council has been successful in attaining the silver level award, acknowledging a more holistic view of the workplace, as well as engaging with local and national campaigns. Cllr Lucy Hovvels, cabinet member for adult and health services said: “A huge part of our lives is spent at work. “It is therefore important that people are given the best opportunities to take care of their health. We also know that where people feel well and are active, they are often more productive. Employees took part in a range of initiatives, targeting different aspects of health. Almost 50 people completed Dry January in 2018, and over 100 took part in alcohol awareness training. Everyday habits were challenged, with 77 taking the stairs instead of the lift in the Step Jockey challenge, burning 34,402 calories and taking 355,661 steps. Fifty-three people got their running shoes on, joining in the Couch to 5k. As well as physical activities, specialised training encouraged people to take care of their mental health. More than 700 people completed stress and resilience training and a further 500 people completed mental health awareness training. The council also took part in Time to Talk, a campaign encouraging everyone to talk about mental health. This is part of the wider Time to Change campaign, that aims to reduce stigma around mental health. Over the next year, Durham County Council will be aiming to attain a Gold Award. This includes undertaking further employee engagement surveys, building on physical and mental health activities, promoting healthier lifestyles, and encouraging more health checks.